A good night’s sleep is only a trip to Best Mattress away! 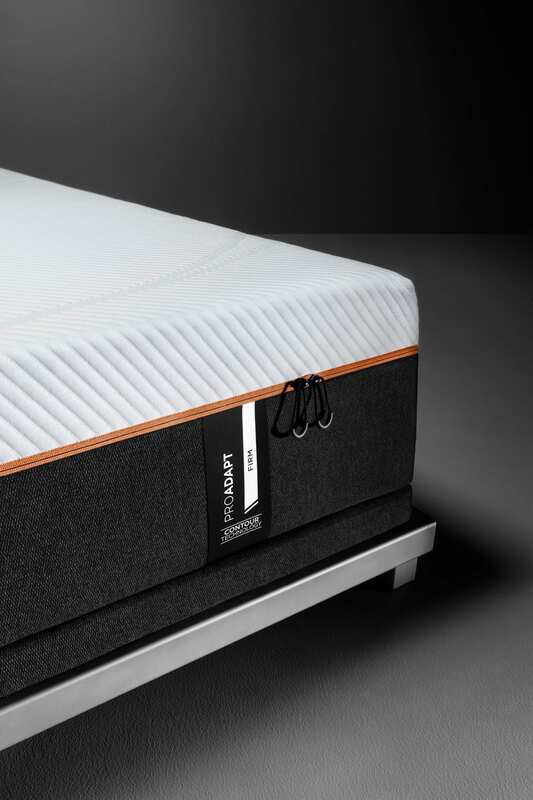 If you’ve been interested in investing in a brand new mattress, and you like something firm, try the Tempur-Pedic Pro Adapt Firm! 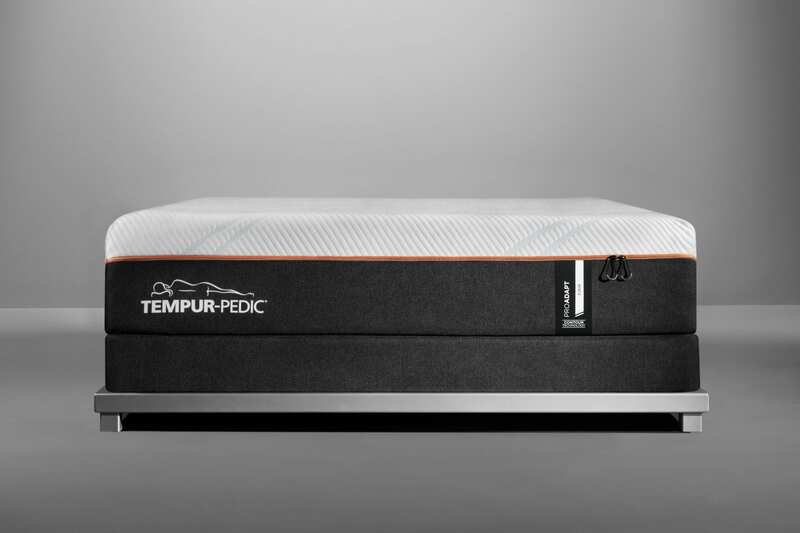 Visit a Best Mattress store in Las Vegas or St. George to try out one of the brand-new Tempur-Pedic Pro Adapt Firm. Best Mattress is one of the best in the area for a tempurpedic mattress in Las Vegas or St. George! 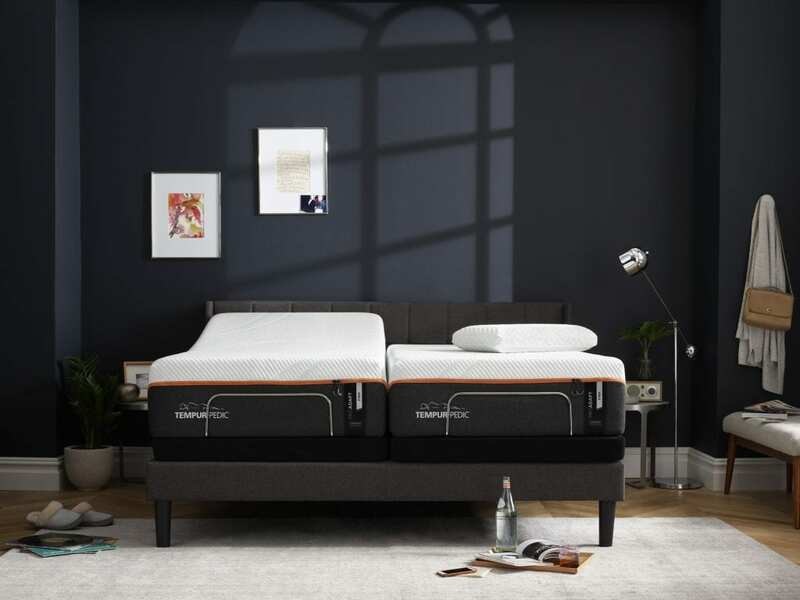 There are tons of different memory foam mattress companies out there, and with so many to choose from, it can be difficult to truly decide which brand is best for you. Originally created for NASA astronauts, Tempur-Pedic mattresses have been around since 2003 and have been providing users with a quality sleep with quality materials ever since then. Because Tempur-Pedic was created and designed by real people with real sleep issues, you can rest assured that this mattress is made to keep you comfortable. Tempur-Pedic promises decades of sleep innovation that will impress sleepers for years to come. Additionally, the developers at Tempur-Pedic know that it can be difficult to adjust to a mattress, and that’s why they offer a 90 night trial. You have 90 nights to decide if the Tempur Pedic Pro Adapt Firm is the right mattress for you and your sleep schedule and routines. If you don’t love it, talk to a member of the Best Mattress team in Las Vegas or St. George. We are committed to making sure you get the most out of your mattress investment. Why Choose The Tempur-Pedic Pro Adapt Firm? Easier Sleep- It’s easier to fall asleep with the Tempur- Pedic Pro Adapt Firm because it evenly absorbs and distributes your body weight. When your body weight is distributed, it keeps your pressure points adequately supported for more of a painless sleep. Faster Sleep- Instead of laying awake for hours due to discomfort, the Tempur-Pedic moves and adapts with every movement of your body. 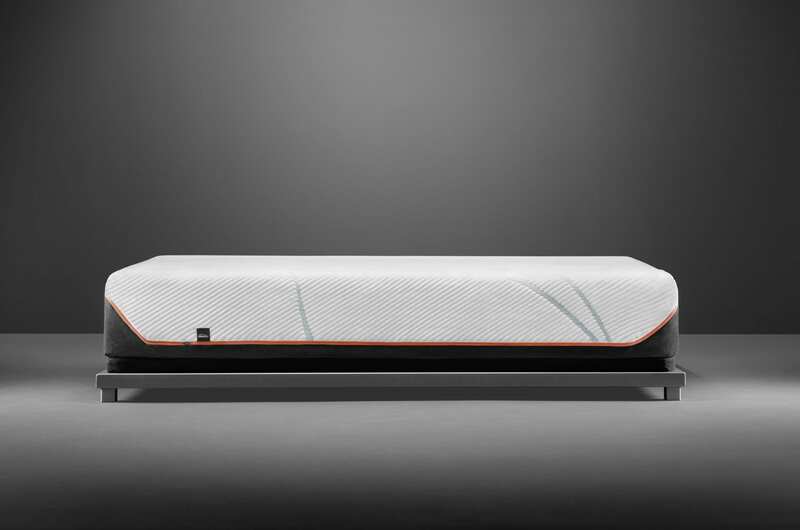 No matter the way you move, the mattress will move with you. With a tempurpedic in St. George or Las Vegas, you won’t spend any time tossing and turning at night! You’ll fast asleep fast, and stay asleep longer. Deeper Sleep- The Tempur-Pedic Pro Adapt Firm is made with a revolutionary material that absorbs the natural movement of your partner during sleep so they don’t disturb you, and you won’t disturb them. Both you and your partner will experience a deeper, more rejuvenating sleep every night. >Cooler Sleep- Memory foam mattresses have a reputation of being warm and uncomfortable to sleep on. Keep yourself cool and comfortable with the new Tempur-Pedic mattress. Equipped with a cool-to-touch mesh mattress cover that wicks away body heat to keep you the perfect temperature when sleeping. Toss the cool-to-touch mattress cover in the washing machine to keep it clean, and your home allergen free! 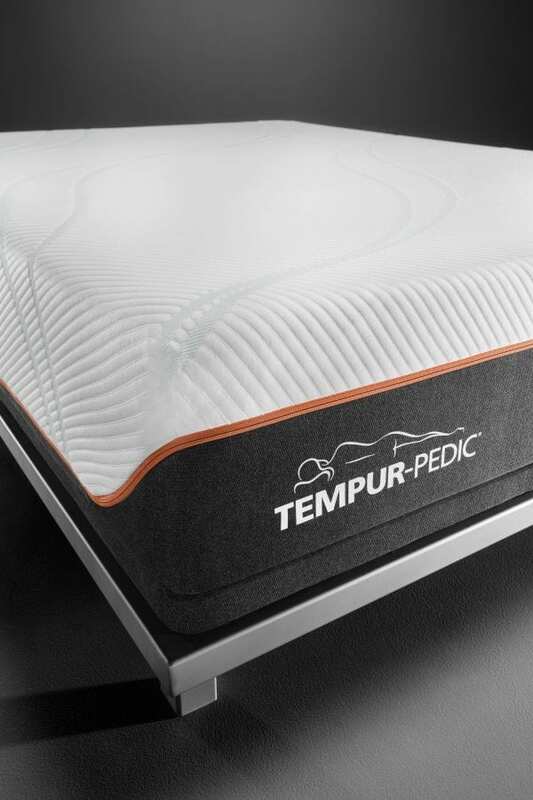 What’s Great About The Tempur-Pedic Technology? Smart-Climate Cool-To-Touch Removable Mattress Cover: Mattress covers do wonders to protect your mattress and reduce allergens throughout your home. But the Smart-Climate cool-to-touch removable mattress cover from Tempur-Pedic practically whisks away body heat to keep you perfectly cool or warm. Shoppers can feel the mattress cover and notice an extreme difference in temperature! 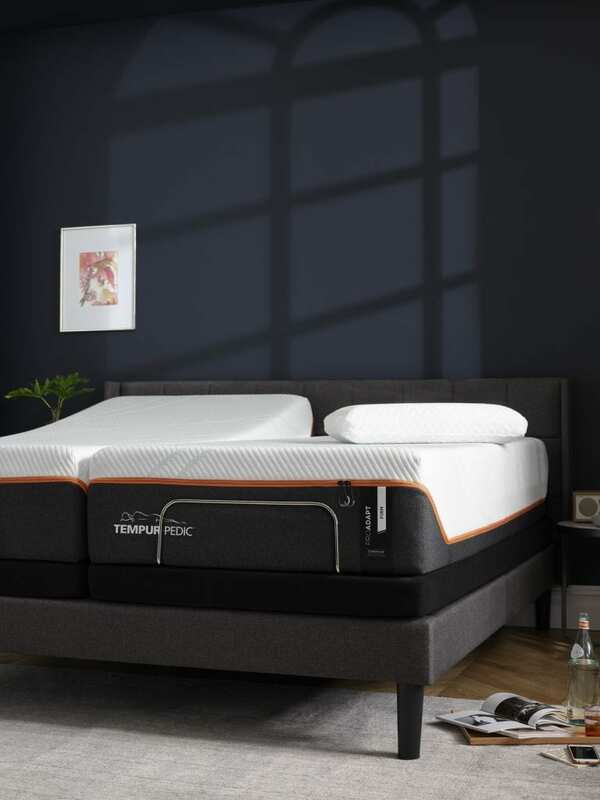 Tempur APR Comfort Layer: Because comfort is one of the most important things to look for when shopping for your next mattress, Tempur-Pedic perfected their comfort level. The Tempur-Pedic Pro Adapt Firm is considered the most pressure-relieving mattresses on the market. If you need a deeper, more rejuvenating, pain-free sleep, try the Tempur-Pedic Pro Adapt Firm. 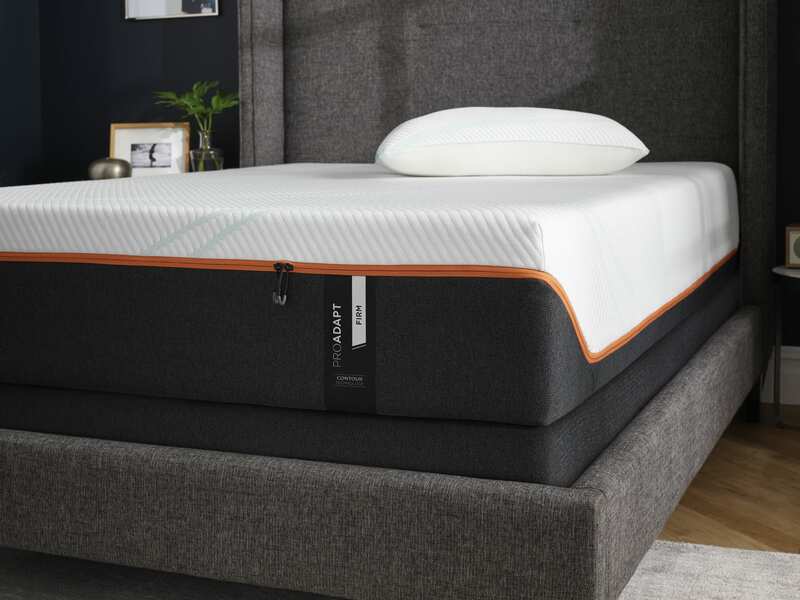 Original Tempur Support Layer: The last and final layer of your Tempur-Pedic mattress is a whopping 5 cm thick to provide you and your partner with support all night long. You’ll notice the difference of a Tempur-Pedic mattress in just a few nights. We understand that everyone has different preferences when it comes to the firmness of a mattress. 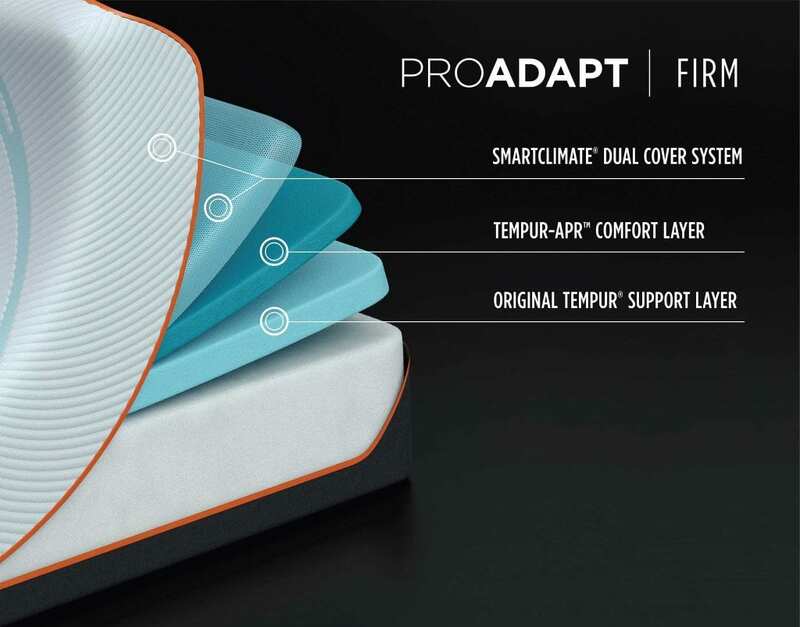 If the Tempur-Pedic Pro Adapt Firm is too firm for your liking, you can choose between soft, medium-soft, medium, and medium-hybrid firmness levels. Head down to one of our retail locations to decide which firmness level is right for you. A good night’s sleep isn’t complete without a set of well-fitting sheets and a perfectly comfortable pillow. Ask one of our Best Mattress associates for more information on Tempur-Pedic sheet sets, and Tempur-Pedic memory foam pillows. Before you leave our location, make sure you consider adding a Tempur-Pedic mattress protector. A simple mattress protector can significantly lengthen the life of your mattress while reducing allergens throughout the home. Over the last 24 years, Best Mattress has expanded to 22 locations in Las Vegas, Mesquite, and St. George. Our convenient locations make it easy for you to get the quality sleep that you deserve without driving far to get it! We know that everyone sleeps differently and we are committed to providing a sleep solution for every kind of sleeper. At Best Mattress we believe that time is valuable, and we are proud to offer same-day mattress delivery to all of our customers. Ask our team members about our free old mattress removal and in-home installation. Let us help you make the mattress-buying process as painless as possible! 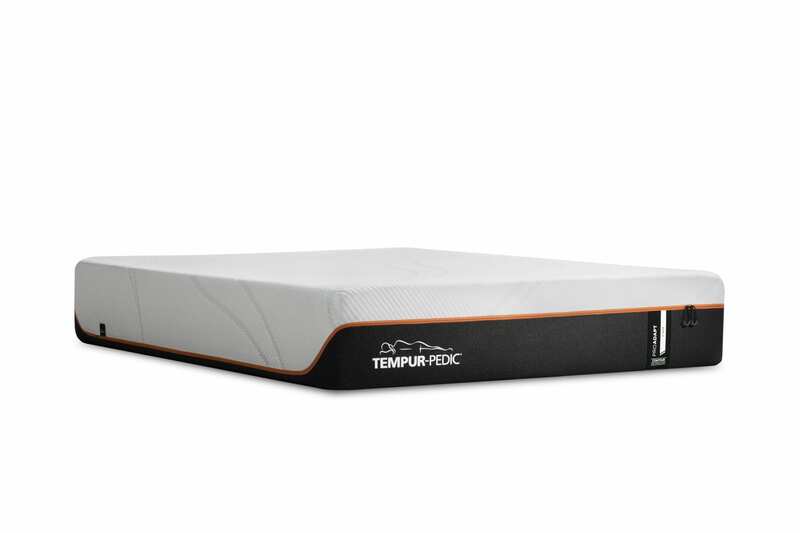 Head to one of our locations today to see if the Tempur-Pedic Pro Adapt firm is the right mattress for you.